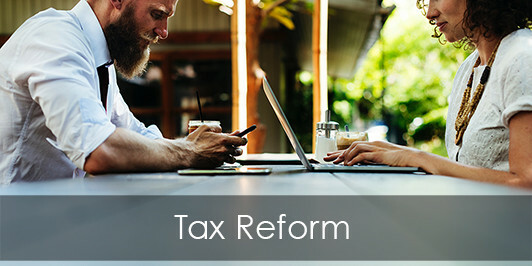 The Tax Cuts and Jobs Act (TCJA) of 2017, passed at year end, has been called the most extensive tax legislation in more than 30 years. It’s certainly far reaching, covering individual income taxes, business income taxes, and estate taxes. The new law has many tax saving opportunities, as well as possible pitfalls. Trying to grasp everything in the TCJA can be overwhelming. Therefore, it’s best not to panic; don’t rush into tax-motivated actions just because of gossip or opinions you hear. There’s no need to act rashly this early in the year. That said, it is important to understand what’s in the TCJA and what it might mean to you. Subscribe to our CPA Client Bulletin newsletter (using the email form on the sight sidebar) to be in the know all year long. One issue is not sufficient to cover the new law, so we’ll keep you posted throughout the year as uncertainties are addressed and new strategies emerge. Of course, if you have questions about the TCJA and possible planning tactics, please call our office for a personalized response, or complete the following form for a follow-up.